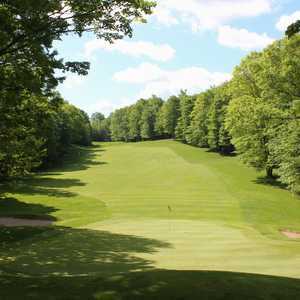 GAYLORD, Mich. — Forgive the golf courses of the Gaylord Golf Mecca for boasting a bit of a cool swagger, it's just that for the last decade they've been at the top of the Midwestern golf game. 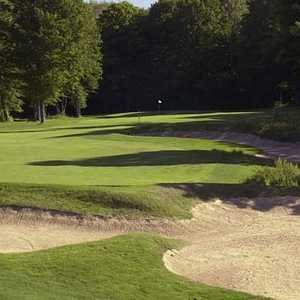 The Rick Smith Signature course at Treetops remains one of Gaylord's most popular courses. And it keeps getting bigger and better. Originally founded in 1987 with a modest seven courses, the Gaylord Golf Mecca, which is a golf marketing partnership of two dozen courses in Gaylord and environs, sees more than 350,000 rounds each summer. Great Lakes Magazine voted it as the No. 1 golf destination in the Midwest. With the recent additions of the Otsego Tribute, nearby Black Lake and Forest Dunes complementing the already nationally acclaimed Treetops, Black Forest and Garland, there's a course and resort for every shape and size. Treetops Resort: You really can't go wrong at Treetops, and could easily enjoy the best of the area golf without leaving the property. Each of the 81 holes of golf represent which the epitome of northern Michigan "resort golf": many downhill holes, big, contoured greens and wide fairways. The Robert Trent Jones Sr. Masterpiece Course (the original and largely regarded as the most difficult) receives the most play annually (thanks to a slightly longer season) while the Rick Smith Signature Course has the most-filled tee sheet during peak season. Then there's Tom Fazio's Premier Course, which shares the Treetops North facility with the Signature Tradition and Threetops. The Tradition Course, which is the only course that allows walking at Treetops, doesn't make much sense to walk since price is the same with a cart. It's also a bit shorter at slightly more than 6,400 yards. Black Forest: Black Forest G.C. is the "anti-Treetops": it's not going to help you with elevated tees and wide, bowled fairways. This is the most difficult course in the area and kudos to designer Tom Doak for not catering to a resort-friendly ease of design like so many northern Michigan golf courses. While it's possible to hit driver on every hole, you'd be an idiot to do so. Forest lines each hole on both sides, but landing zones are fair and errant shots will be punished. While the tee shots feel intimidating, the true difficulty comes in Black Forest's small, tricky greens. While the course is worthy of a four-star hotel, facilities are modest, featuring a newly renovated clubhouse and grill, as well as outdoor deck and fire pit. 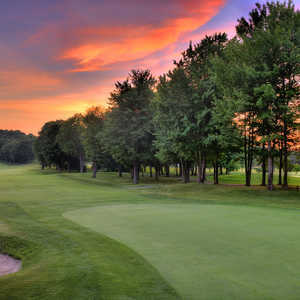 The Tribute, Otsego Club: The Tribute at the Otsego Club boasts its ranking as a "Top 10 Course in Michigan" by Michigan Golf Magazine around every corner at the resort. There are some fabulous holes, including the most picturesque and fun to play downhill third hole. The course is built on 1,100 acres and is nearly a 10-minute cart drive from the clubhouse. If conditions eventually live up to the design and land, The Tribute will continue to deserve its "Top 10" accolades. Black Bear: Black Bear recently changed ownership, overhauled course conditions and dropped greens fees, making it a winner once again. The course opened in 1996 with the gimmicky "only 19-hole golf course in Michigan" slogan. Now it's one of the area's best bargains. The 17th is a great tee shot, featuring a good drop in elevation and about a landing area that's doubled in width after new management mowed down the heather on both sides of the fairway. It's a level below Treetops, Black Forest and the Tribute, but conditions are above average and it's the area's best value. If you don't mind putting a few miles on your car, there are some courses 30-45 minutes outside Gaylord definitely worth visiting. Forest Dunes: Located in Roscommon, Forest Dunes Golf Club has flown under the Michigan radar for quite some time as it changed ownership and is now one of the state's best. Like Black Bear, it also features a 19th hole (although this one culminates the round). As its name implies, part of the course plays through forest, while the rest plays into open wastelands and dunes. The contrast makes for a great variety of holes and as a result the round flies by. Forest Dunes conditions and amenities — beautiful clubhouse and free, Titleist NXT range balls — make the green fee worth every penny. Garland Resort: Garland Resort, featuring 72 holes of golf is also close to Gaylord and included in the Mecca, but is a totally different type of golf, thanks in part to its flat, watery landscape. Obscure designer/owner Ron Otto likes par-3 finishing holes and five or six par 3s and par 5s on his courses. Garland, especially the water-filled Swampfire, resembles Myrtle Beach or Florida more than northern Michigan at times, but the tall pines and main lodge are distinctly northern Michigan. The best part about Garland is each of its courses tee off within a minute's cart drive of the main facility. The service at Garland, in the hotel and bag staff is also a cut above any of the other mega golf resorts in northern Michigan. The UAW's Black Lake north of Gaylord in Onaway is also worth the short drive. This Rees Jones design is complete with bold bunkering and open greens in front. Conditions, service and amenities are on par with any private course in the state, whether you're in the Union or not. Marsh Ridge is not worth the money. The owner has let it run downhill. The sand traps are full of weeds and gravel. The Natural is still okay. You guys missed it. When my group and I were in Gaylord, we stayed & played at Marsh Ridge. AWESOME FOOD..affordable. They had a special for every night we were there. And the golf was great.. Both courses that we played, Marsh Ridge and The Natural were in great condition and the staff met our needs and was very friendly. Sorry to see they are not on your site.